For $1200 off LASIK surgery! Our premier cataract and all-laser LASIK vision correction practice in Dripping Springs is led by doctors Lara Dudek and Lisa McIntire. 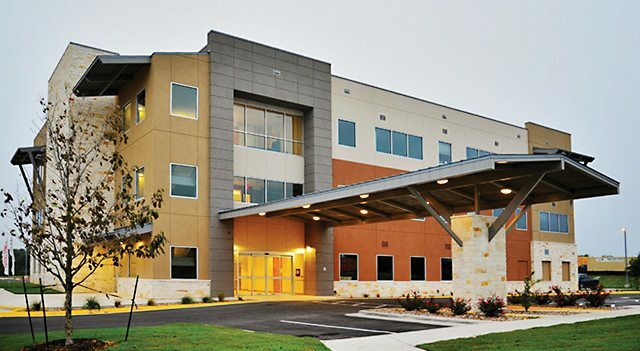 Heart of Texas Eye Institute is widely regarded as one of the premium ophthalmology practices in Texas. Known as the leader in Austin for LASIK laser vision correction and cataract surgery, the doctors at Heart of Texas Eye Institute in Dripping Springs provide all-encompassing vision care that includes general eye care, cataract removal, premium lenses, glaucoma and cornea treatment, treatment for dry eye, pterygium, allergies, keratoconus, and other comprehensive eye care treatments. If you suffer from cataracts, intraocular lenses (IOLs) placed by our surgeons can replace the crystalline lens of the eye and restore clarity to your vision. These advanced implants may significantly decrease your dependency on glasses. Heart of Texas Eye Institute puts patients at ease by taking the time to answer questions, address concerns and walk patients through every step of their procedure in advance — so they know what to expect. We want our patients to be informed, comfortable, and relaxed. Dry eye is a common condition that must be monitored and treated to prevent it from leading to more serious problems in the future. We can help you determine the source of your dry eye troubles and the best course of action to effectively treat it.